I have an iPhone 5S that is about 32 months old. Recently, I thought my phone is old and it doesn’t need the protective case and foolishly took it off. It was going in and out of my pocket easier and felt great in my hand until Otter (my 5 yr old kiddo) took it. She was playing with it and dropped it on the floor and cracked the glass. I said, “Okay, fine”, but it wasn’t okay or fine. I was irritated at myself for taking the protective case off. Oh well, that’s water under the bridge now. The glass crack wasn’t too bad and I continued using my phone as is. However, I still didn’t put the protective case back on. A few days later, I dropped the phone on the floor. It was my turn now. This time, the glass screen cracked all over. The phone was still working but there was so much shredded glass that it was cutting into my fingers every time I used the phone. This time, I said to myself, what an idiot I am for not putting the protective cover back on. It was time to repair my phone. Oh, by the way, my battery was dying as well. So I decided to get the screen and battery replaced. I thought about going to the local cell phone repair store. After a quick google search and reading the reviews, I didn’t feel comfortable going to the local cell phone repair store. It also takes time away from work or family when you need to make a trip to the local cell phone repair store and get the phone repaired. Time is a scarcity and I didn’t feel motivated to schedule time and go visit the local store after reading the reviews. I was looking for a low cost and high quality cell phone repair service. Is there such a thing? Well, let’s find out. After a little bit of research, I found out about cellsavers. cellsavers is an on demand cell phone repair service. cellsavers comes to you. You don’t need to go anywhere. You visit their website, select the make and model of your phone, and tell them what is wrong with your phone by selecting from their menu. 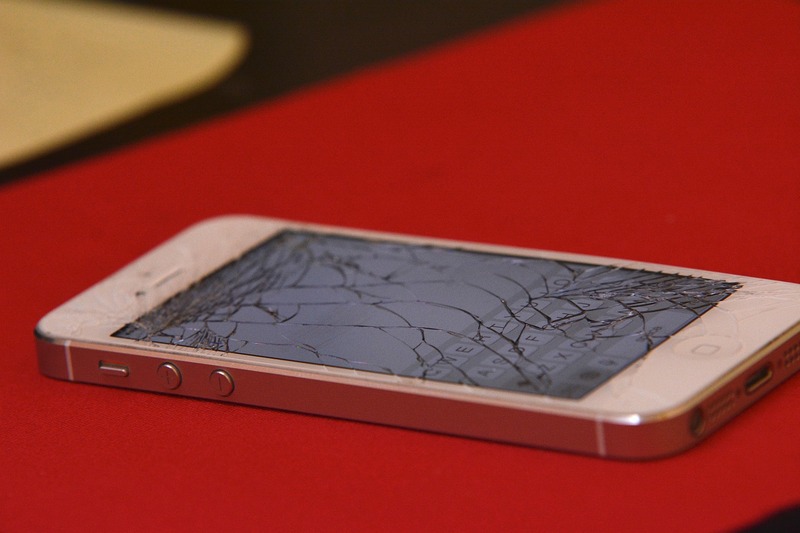 I selected the iPhone 5S and selected the following items – “broken screen” and “faulty battery”. There is a space to put any additional comments if you want to. Once you select the items that need to be fixed, it tells you the cost of repair right away. In my case, it was $79 for screen replacement, and $69 for battery replacement. The total estimated cost of repair came to $148 not including taxes. Over to the next screen. I selected the 1 hour time window that was convenient for me. I put in my home address and hit the “submit” button. Shortly, I received an email notification that they had received my request and were identifying a technician. In less than an hour, I received a call from cellsavers. The representative was very courteous and confirmed what was wrong with my phone and confirmed my appointment. I received an email confirmation after the call with the name of the technician that would be fixing my phone. Before I forget, let me mention that cellsavers site says that their technicians go through a thorough background check. If I need my AC, plumbing, or any other appliance to be repaired, they visit my home to repair whatever needs to be repaired. I thought how could this be any different. My concerns about a cellsavers technician were abated. Secondly, cellsavers uses an algorithm to match the right technician from their database for the repair based on the make / model and what is wrong with the phone. About 45 minutes prior to my appointment, the technician called me and said that he is on his way to repair my phone. Once again, he was very courteous and confirmed with me the make / model of phone and what needed to be fixed. The technician showed up on time. I was working from home. He requested for some counter space to work on. I was standing next to him, chatting, and watching the whole process. He said he visits people at their work and repairs their phones while they are working. Once a moving guy called him. As the mover was unloading, the technician repaired the iPhone in his car at the site where the moving guy was unloading. In about 20 minutes, he replaced the battery and screen. Once the repair was done, he asked me to make calls, take pictures, and check to ensure that my phone was working without any issues. Once functionality was verified, I made the payment for the repair service using my credit card. As soon as payment was made, I received a copy of the invoice in my email inbox. The technician packed up and left. Without having to step outside my daily routine, I got my cell phone repaired at a very affordable price. The price was competitive and cheaper than what I would have paid at the local cell phone repair store. The story is not over just yet. You know what I love about cellsavers – their lifetime warranty on all parts and labor. The beauty is the lifetime warranty is nationwide. You get your cell phone repaired in New York and if you move to Houston, you would still get warranty coverage on parts and labor in Houston. A local cell phone store does not offer life time warranty on parts and labor. They may not even offer you a 30 day warranty on their repairs. You run the risk of paying more and getting less. With cellsavers, you get your cell phone repaired at your preferred time slot, at your preferred location, and at an affordable price. Honestly, that’s an offer I couldn’t refuse. At some point of time, you may have needed your cell phone to be repaired? How did you go about it? Have you used cellsavers to repair your cellphone? I’ve thankfully not needed to have my cell phone repaired, but it’s one of my fears! I have an otterbox around my G5 which is obviously a pain but I’ve gotten used to it. I think cellsavers is a great option and I love their business model. I hope I never need them but if I do I will definitely be looking to have them do the repair. It is great that you have gotten used to the case, it is absolutely worth it. This is the first time I have had to deal with a broken screen. I’ll definitely have to check this out. We recently got my sister in law’s 5S phone that she no longer uses. I have a 5 and I’ve been thinking about upgrading to it but it has a huge crack. I’ll definitely have to see how competitive the pricing is around the DC area 🙂 Thanks for sharing!!! I ‘m pretty sure you will like cellsavers 🙂 Please share your experience if you choose to go with them. That’s a valuable service to know about. Thanks for sharing. I’m glad it worked out so well for you. None of my phones have ever cost over $100 so I’ll be replacing mine, not repairing it. But I’ll spread the word to other iPhone users in the family. I also would look into it for my iPad when the warranty runs out.